!! THIS POST ALSO APPLIES FOR OPENSUSE 12.1 !! Since I often need mobile broadband internet connection, I was hoping openSUSE 11.4/12.1 will provide the right tool to KDE4 users to connect. Now, what works perfectly for me is Networkmanager-GNOME. That's the name of the package. Sounds fantastic, but it doesn't work out of the box when installed and ran on KDE4. 3. Click to install Networkmanager-GNOME (it might be already chosen automatically after choosing to deinstall all "kde4" packages related to Networkmanager), don't run the installation yet. You can optionally add Networkmanager-GNOME-lang for more languages to be supported. 9. Now you can quit the root console. 10. Deinstalling the NM kde4 libs might change the network handling to ifup! 18. Log out and log in to KDE. 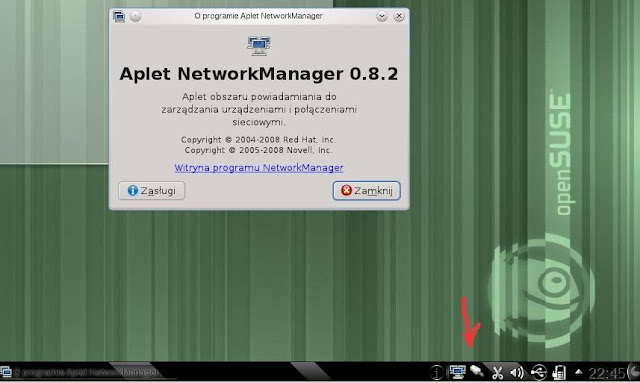 Now the GNOME nm-applet should work and you can easily connect to mobile broadband or any kind of wired and wireless nework. 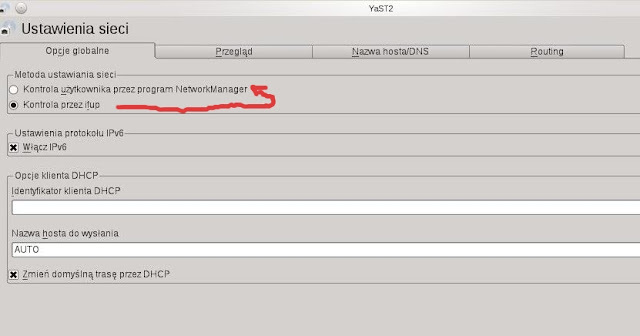 If you need a special VPN or pptp connection, try adding in YaST Software Management the proper Networkmanager-* packages, but don't add the *kde* ones. I am not sure, but this might cause nm-applet not to work properly. It really works great, what many users confirmed. When I had the stock 2.6.37 kernel, the behavior of knetworkmanager seemed as if it were buggy or something. I would click enable wireless and it would immediately disable itself again. Ever since I grabbed 2.6.38 from OBS, it had just said disabled. ath9k is clearly loaded: http://img.susepaste.org/view/simple/61531607 so I'm not quite sure what the problem is. As far as the article itself, I still disagree with setting qtcurve, because then all qt applications don't blend well with kde at all. Also: I had to init 6 before I could get nm-applet to show up. 1. Well, as agreed on IRC, your wifi doesn't work although you applied the guide, because the 2.6.37 kernel doesn't support it. This is not to be solved by this guide. 2. I found it easier to install qtcurve, maybe I will change it later. I use QtCurve Aqua for both KDE and Gtk apps. 3. About the init 6 it's unexpected... Good to know, you are the first user to report that. 4. In expert area there's the cb400f's guide to do it 5x faster from command line and have oxygen-gtk running. If oxygen-gtk doesn't work (I have an updated OBS version, so it works for me) perhaps see if oxygen-molecule works. I think mixing qtcurve with kde is just horrid looking. Yes, 2.6.37 isn't supposed to support it, but 2.6.38 is ;). I'll definitely check out cb400f's guide, thanks for the tip. I use QtCurve for both KDE and Gtk. Both with same color scheme and Agua (look setting of QtCurve, can be configured in KDE's System Settings). hi, thanks for create this tutorial..
Did you install and set QtCurve for GTK applications as mentioned in the tutorial? I have put it this way to follow EVERY step from the tutorial! I think your problem is that missing the icon that is required by the nm-applet. That should make it work! I followed the blog instructions as you recommended. When starting from command line I saw I also got the missing icon problem. Installing the icon themes didn't work (they were already installed). I had to (re? )set the theme for gtk apps in the kde system settings to oxygen-gtk. It was empty. Now it works! Thank you very much! Hi joba1, thx for the comment. Did you try using qtcurve theme for gtk as desvribed in thre guide? Thank you very much for this. Now I can connect to WPA2 flawlessly. Thanks a million! Your instructions were perfect and I can now connect to my mobile broadband provider BETTER than I could, even when things "worked" with knetworkmanager in 11.3. I am happy it is working for you all. Motivates me to go on with further steps. Will continue with another step (5) tomorrow. Let's have nvidia binary drivers explained and installed properly. There are some useful tricks that are really helpful and I can help to understand them. Do you require an internet connection to convert from kde to gnome explained in the process ? It was very nice of Novell/Attachmate/Suse/whoever's running things over there nowadays to forcibly stop Gnome's Network Manager applet to stop running and force me to run KDE's Network Manager just because I updated. Especially when I find that KDE's Network Manager applet STILL doesn't work with wireless broadband. This works! You are a hero! After at least two months reading and installing stuff, finally I got the wireless working. Worked one time. Thanks hey!! Thank you for the positive feedback. Couple days ago I upgrated (zypper dup) to openSUSE 12.1 .. Great stuff, tho now the Gnome NM applet is from GNOME 3.2.x and it's got one issue. The icons are SOOOO BIIIG!! And this only from time to time, I am working on a post and explanation on this. Keep rocking. Thank You so much!!!! 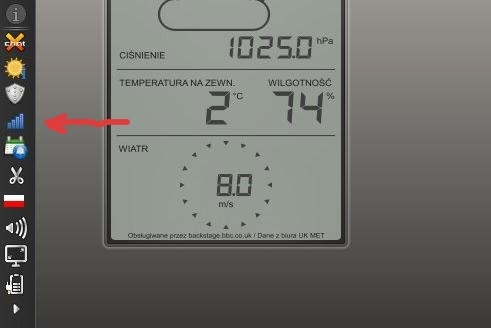 Used your instructions guide about 2 weeks ago, and after fiddling the new managers settings a bit it now works great! It feels strange to have a gnome manager within KDE but wifi now works very smoothly. Sorry for the late comment (I've happened to stumble into this one only now) but... GREAT WORK!! First, because you allow me to fix (at last!) the WLAN department in a SuSE 11.4 setup (on a Toshiba laptop which is quite 'oldie') I'm doing for another person, which otherwise would work absolutely fine.